Alo Ladies Headband (W7000) A practical, comfortable way to keep hair where it belongs while working out. 90/10 nylon/spandex with StretchFlex™. 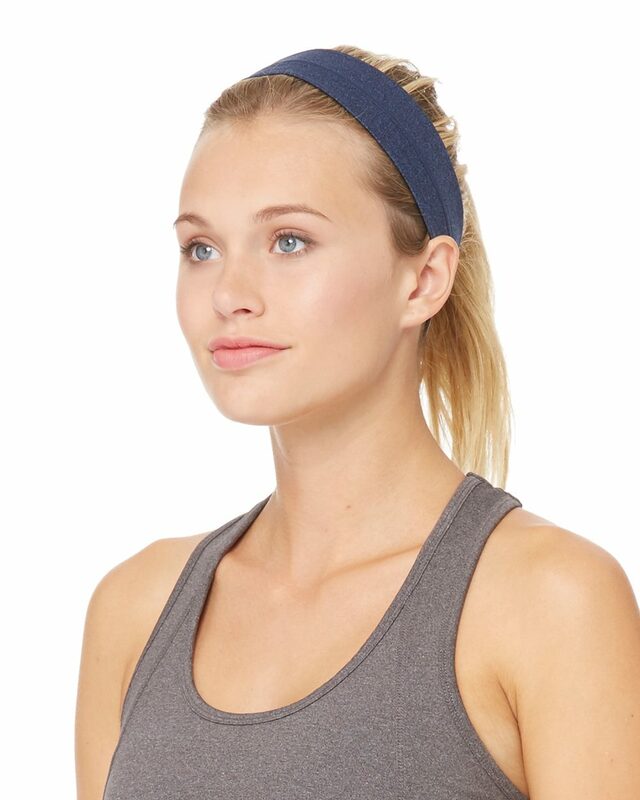 Athletic Heather, Heather Navy, and Safety colors are 90/10 polyester/spandex. Dark Grey Heather is 50/40/10 nylon/polyester/spandex. 2” wide, alo™ heat transfer centered on band. Moisture wicking and anti-microbial. Double-layer with folded edges. Flatlock stitch and back seam.